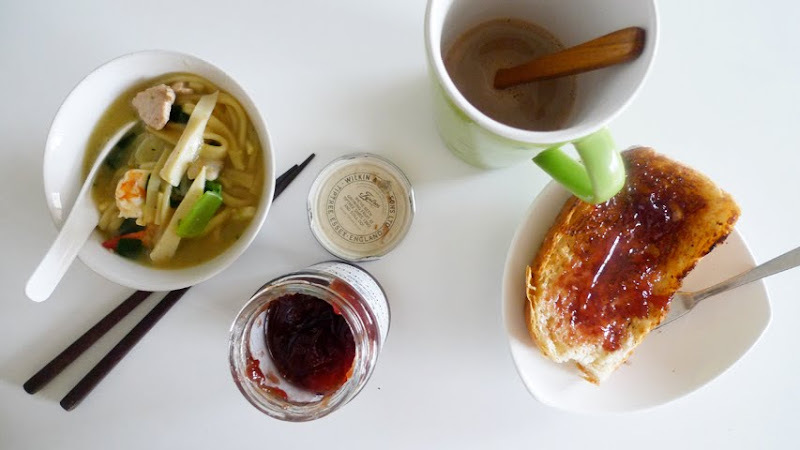 Seafood noodle, toast with raspberry jam, coffee. Mum insisted that i should eat this small bowl of noodle besides the toast because i didn’t take lunch. My waistline is expanding.